If there is one country that can consistently surprise you, enchant you and feel blessed about life, it has to be Japan. From retaining deep-rooted cultural beliefs to staying ahead in technology and being a pioneer in most advancements, Japan is indeed a paradise for travellers and businessmen alike. Apart from the fact that Japan is home to the magnificent Mount Fuji, that it has perfect four seasons that alternate throughout the year to offer idyllic travel conditions, or its renowned tea culture, one of the major compelling reasons to pay a visit to this magical archipelago is the phenomenon of Cherry Blossom. During this time, the country undergoes a surreal transformation in the way it looks and feels. 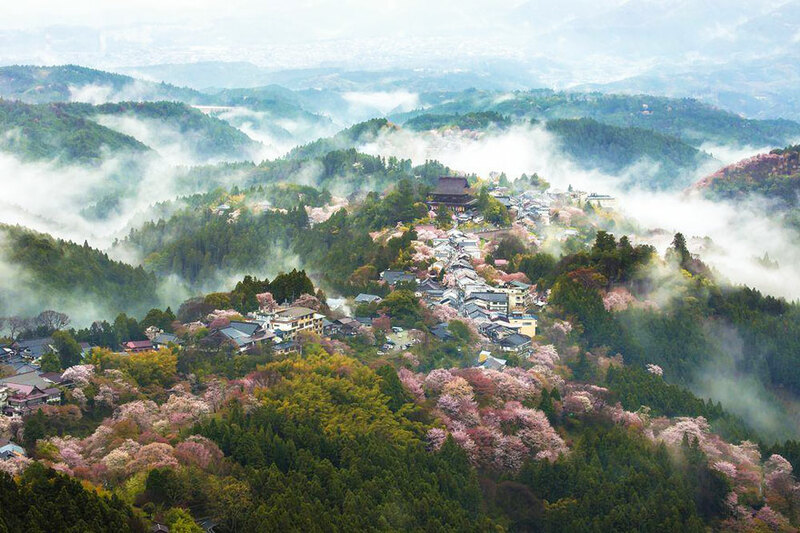 A little different from looking perennially beautiful, Japan during the Hanami season looks poetically beautiful. Celebrated for over centuries, Cherry Blossoms in the country are part of every ritual and culture. There are hardly few poets who haven’t penned verses on how Cherry Blossoms have managed to take their breath away or make even the greatest of the wordsmiths fall short of words. Umpteen artists have depicted the season in their paintings and understood why nature will always be the better artist. Traditional music, folklore, indigenous cultures, books and other forms and mediums of art have all been praised for the wonderful season of the flowers. With streets, houses, orchards, castles and even public transportation terminals turning poetic with shades and hues of pink, you cannot simply overlook this one-of-a-kind marvel that makes the earth a better place to live. To help you decide on heading to personally experience the phenomenon, we have compiled a couple of pointers on why your next travel destination should be Japan. Right from the bestselling books to the beverages you would order at Starbucks, you would find references or instances of the Cherry Blossom. 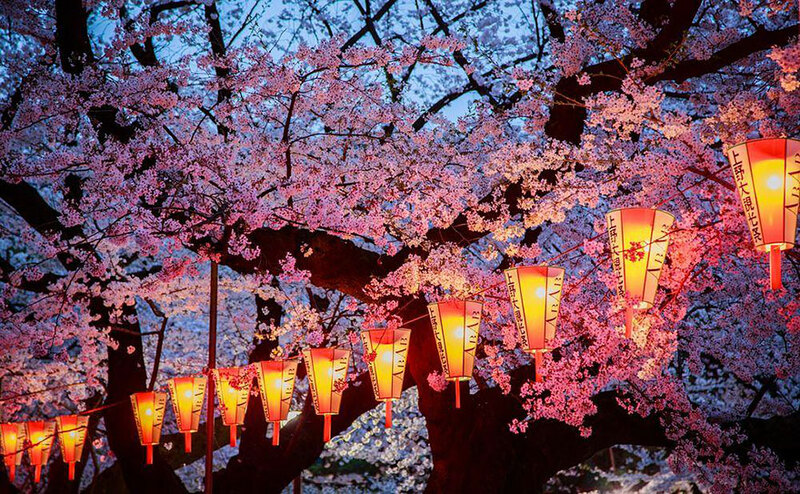 One of the major reasons you should visit Japan during Cherry Blossom is because it is a time when the entire country comes together. From colonies, streets, avenues and districts, it is the time of brotherhood and making merry for the natives. You can find people having a great time under the natural canopy of pink flowers and trees, celebrating togetherness over a picnic and good food. Castles and other national heritage monuments are beautifully surrounded by lush green and pink trees. 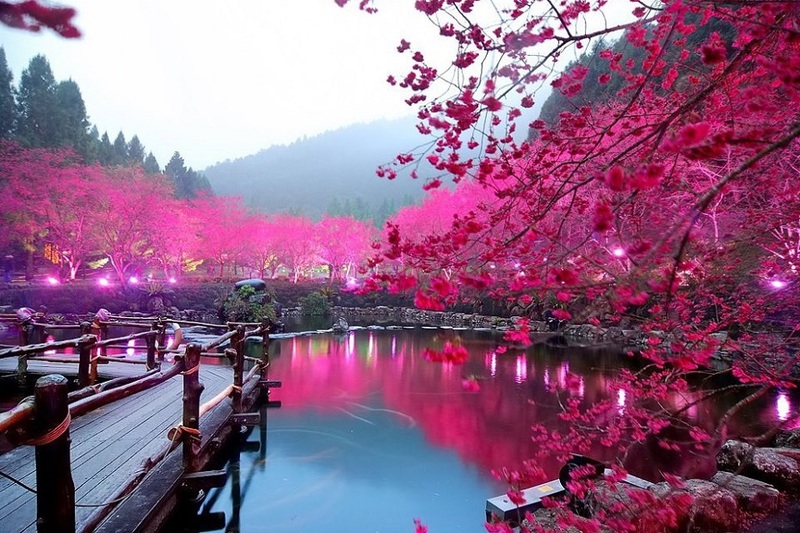 As much as the Cherry Blossoms looks enchanting during the day, its beauty multiplies by manifold at nights. With lights further adding to the illumination and parks and public places getting special decoration to mark the occasion, you will go back to your childhood days when all you wanted in life was a magical land with happiness, flowers, and lovely people around you. Imagine an empty canvas and start painting a visual image as you read. Focus on the center of the canvas and draw a small stream running up the canvas – the stream is blue with the reflection of the sky on a perfect spring morning. To the left and right of the stream are beautiful meadows with lush green grasses that have their own raw scent of nature. Now fill the landscape with trees. Make the barks and the branches of the trees dark and contrast the foliage with shades of pink. If you have space, draw a Japanese castle – a small one – behind the trees and the result of it will make you realize how it feels to be during the Cherry Blossom season in Japan. It is one of nature’s best works indeed! 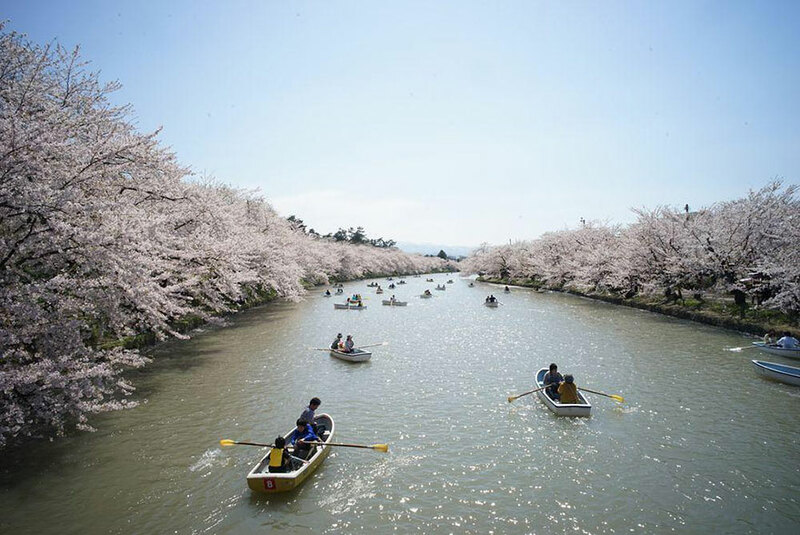 Contrary to the country’s world-famous on-time public transportation systems, Cherry Blossom takes its own sweet time to fill the places with its vibrance. Starting slowly from February, the blossoms gradually come to their fullest glory in the months of April and May and live for a brief period of time. This is one of the other reasons why you will find tourists flocking the places during Hanami. The most beautiful part of Hanami is that it is not a grand affair in terms of preparations. It’s not an adventure sport that you have to prepare mentally. It is neither a rock concert where you will have to get tickets for. Its beauty lies in its simplicity – just the fact of being there amidst the flowers and leaves turned pink and celebrating for what it is and who you are. If life is all about living in the moment, no other place can teach you the most complex philosophy in the simplest ways – like a haiku – and there can be no better time to feel alive than during the Cherry Blossoms. If you are planning to visit Japan during this season, check out our tailored travel packages that will take you straight to the heart of nature. Still waiting for the perfect time? 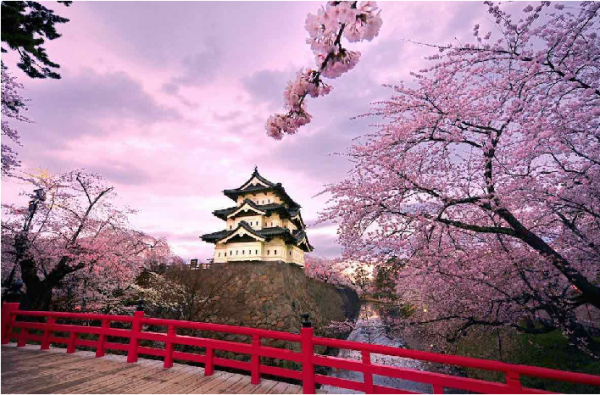 Here is the exciting holiday package for you to experience the Cherry Blossom In Japan. Also Read: 5 Japanese Customs That’ll Make Your Eyes Pop Out! Apart from the fact that Japan is home to the magnificent Mount Fuji, that it has perfect four seasons that alternate throughout the year to offer idyllic travel conditions, one of the major compelling reasons to pay a visit to this magical archipelago is the phenomenon of Cherry Blossom.